If the thought of 21 km of stunning coastline, set to an awe inspiring backdrop of a dramatic mountain range, all wrapped up in 325 days of glorious sunshine each year sounds like your idea of heaven then Estepona will surely capture your heart as completely as it has captured mine. 66000 happy residents can’t be wrong! Estepona is a town moving forward and with many developments (planned, under construction or already implemented) aimed at making this wonderful town even more so. Just what is it about Estepona that makes it so attractive? Estepona is fortunate enough to have its own micro climate, thanks to its position, nestled between the Mediterranean Sea and the Los Reales de Sierra Bermeja mountain range. This ideal location explains how the town can boast a highly desirable average of 325 days of sunshine each year. However an abundance of sunshine is not the only aspect of Estepona that makes it such a great place to be. There are many things to be appreciated here. Estepona has numerous beautiful, well maintained beaches some of which have been awarded Blue Flag status. From the picturesque coves dotted along the coastline, such as the popular Playa del Cristo, to the endless stretch of golden sand of Playa de la Rada in Estepona centro, there are beaches that cater for all tastes. Estepona is also home to Costa Natura beach which was the first official naturist site in Spain. The paseo is an ideal place for a walk and it also caters very well for families. A large playground complete with a variety of swings, slides and climbing equipment can be found mid way along the paseo. There are many chiringuitos along the whole length of the paseo, tempting you in with the delicious smells emanating from the sardine boats. The views of Gibraltar and Africa just across the water can be surprisingly clear on fine days. The Sierra Bermeja mountains offer another amazing view but this time from a much higher vantage point. Los Reales reaches its peak at 1449m. It is a noteworthy mountain range because it is quite rare for a mountain to reach such heights so close to the sea. It is only 10km inland. You can take a scenic drive up the ascending road to the refuge, which only takes about an hour and from the refuge you can walk a short distance further to the peak itself. For the more adventurous there are walking routes that you can follow and for the less adventurous, you can explore around the refuge itself which is a great spot for a picnic, especially with its breath taking views. 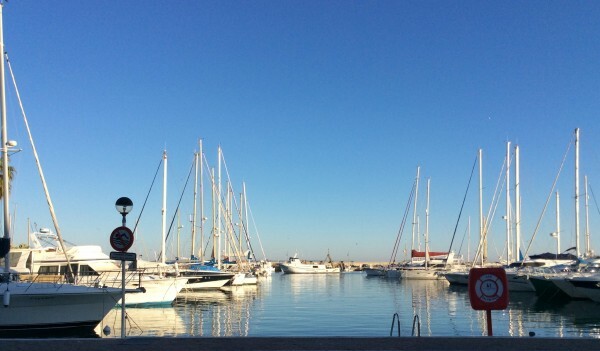 Estepona has a working fishing port where you can watch the fishing boats return with their catch. The adjoining Puerto Deportivo is home to many bars and restaurants, as well as being the site of a very popular market on Sunday mornings. The marina itself is a wonderful place to look enviously at the boats moored in the harbour, or even to hire a boat if you are up for some sea bound fun or just for a considerably more sedate stroll. You can wander out to the small lighthouse at the end of the pier and watch the boats sail in and out of the harbour before returning to the marina with your lungs full of rejuvenating fresh air and stop off for some welcome refreshment at one of the waterfront bars and cafes. The town has been subject to a major rejuvenation plan known as the ‘Estepona, Garden of the Costa del Sol Project’. One impressive feature of this is the ‘Ruta de Murales Artísticos’. Attempting to locate the murals scattered across the town is an entertaining and unique way to spend an afternoon. The Tourist Information centre has a map that you can use to help you find them all. This series of wall murals was implemented by the local council and was started in September 2012. The murals are painted on the sides of buildings, transforming them into massive pieces of art. 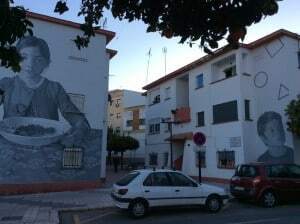 It was initially hoped that they would not only rejuvenate some of Estepona’s neglected neighbourhoods but also become a tourist attraction, putting Estepona on the map as a cultural destination and they certainly have done that. The murals are definitely a big talking point. Furthermore, currently in development is the new Green Lung Botanical Park which is due to be finished early in 2016. It is going to feature a huge glass dome which will be a 15000m3 glass orchid house. This will be divided into two sections, providing optimal growing environments for orchids and other plants. One section will recreate the natural environment of South America and the other will recreate that of SE Asia. As well as incorporating a small lake and a waterfall, it will eventually be one of Europe’s largest orchid houses. The huge dome is currently being constructed and it certainly looks very impressive. Estepona also boasts a pretty town centre. One thing that I love about Estepona is the fact that it doesn’t have a huge, faceless shopping centre full of the usual big brand shops. Instead its shopping streets are lined with a wide variety of small, independent shops and cafes. 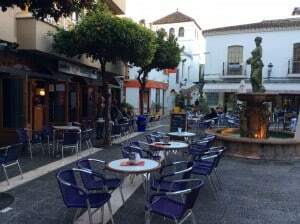 If you venture off of the main street and along some of the smaller back streets you will be rewarded with the discovery of some quaint squares edged with cafes, which are a perfect place to sit, have a drink and people watch. It perhaps isn’t a widely known fact that in the early 1990s Estepona was the original choice for the new Euro Disney resort. It eventually lost out to Paris of course and I for one am glad that this was the case. 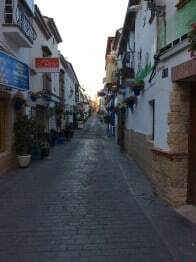 Estepona is a small, friendly town with a charming personality. If Euro Disney had been built here then the town would have been changed beyond recognition and its personality very likely lost. If you have never visited Estepona then why not come and see what all the fuss is about? If you have been to Estepona or perhaps if you are fortunate enough to live here, then lucky you! You have experienced one of the gems of the Costa del Sol!